“What’s there to eat in Bishan?” This is a question I get asked very often whenever my friends suggest a meet-up in Bishan. Having been a Bishan resident for nearly 21 years and counting, it’s sad to realise that there simply weren’t that many great things to eat here. Thankfully, many new food spots have popped up in recent years. So, I set out to compile a list of 24 spots in Bishan that you should bring your foodie buddies to, the next time you’re in the area. If there’s one food spot which Bishan is consistently associated with, it’s probably Ming Kee Chicken Rice (明记鸡饭). 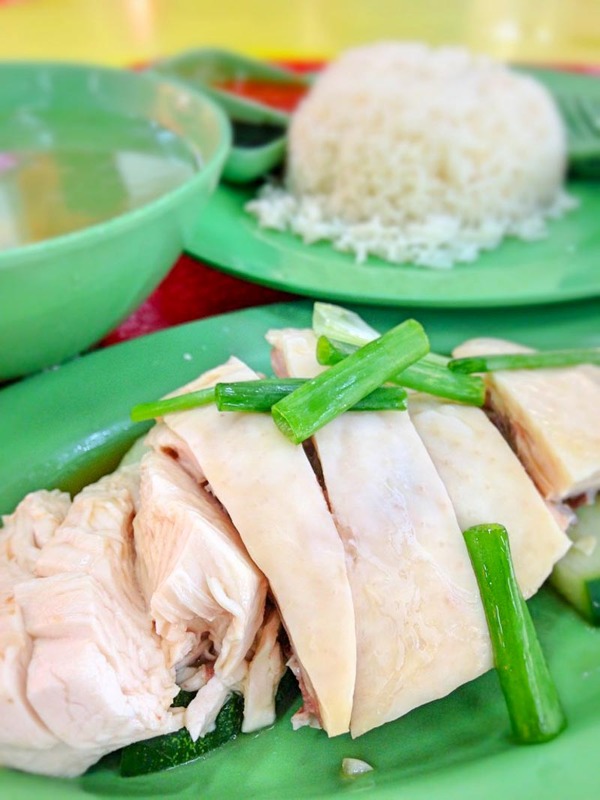 This popular chicken rice stall is known for its ice-bathed chicken. 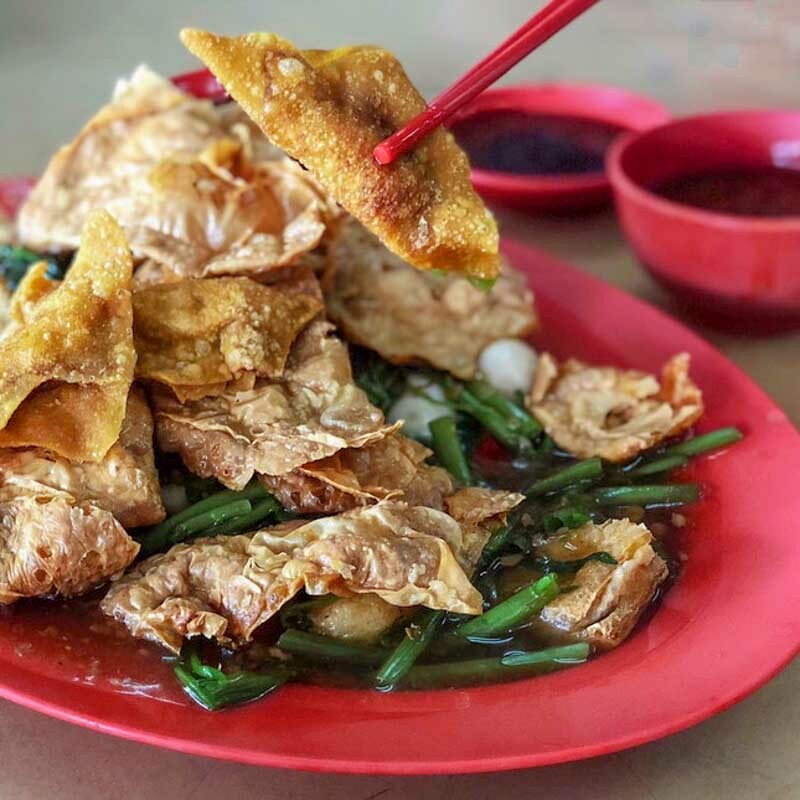 It has truly stood the test of time, after relocating from Bugis Street to Kim San Leng Food Centre in Bishan, where it has stayed for many years. 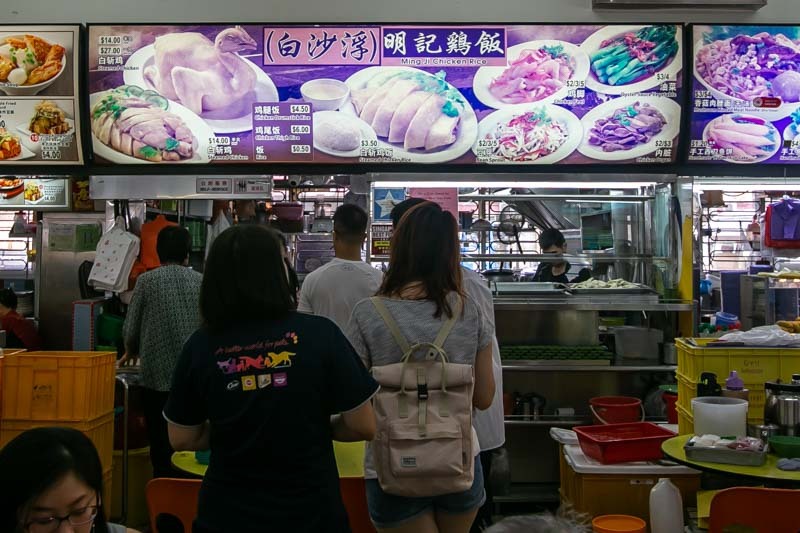 During meal times, you’ll probably see many office workers with the stall’s signature green plates of Steamed Chicken Rice (S$3.50) on their tables. Be prepared to queue for your chicken rice! I’d be content with just a bowl of their insanely oily and fragrant rice, drenched in the savoury sauce. 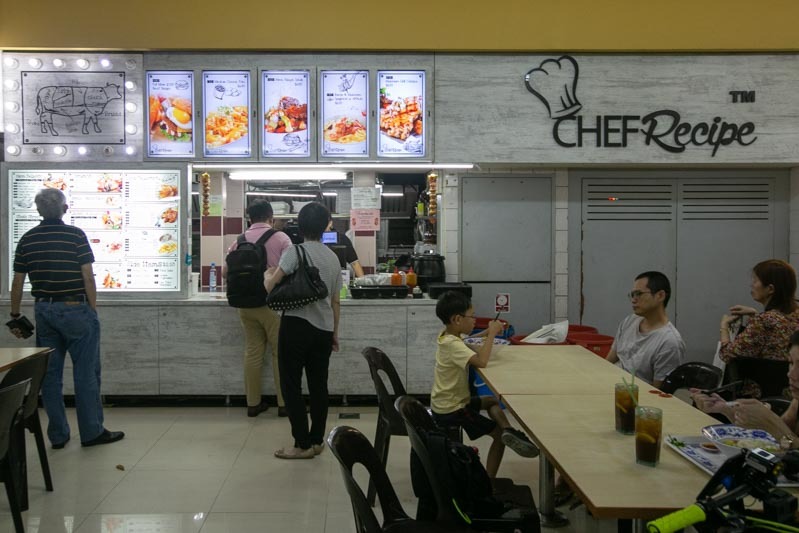 One of the newer stalls to join the Bishan food scene, Shi Xiang Ge (食香阁) is tucked away in a corner of Bishan Cafeteria above Bishan Bus Interchange. 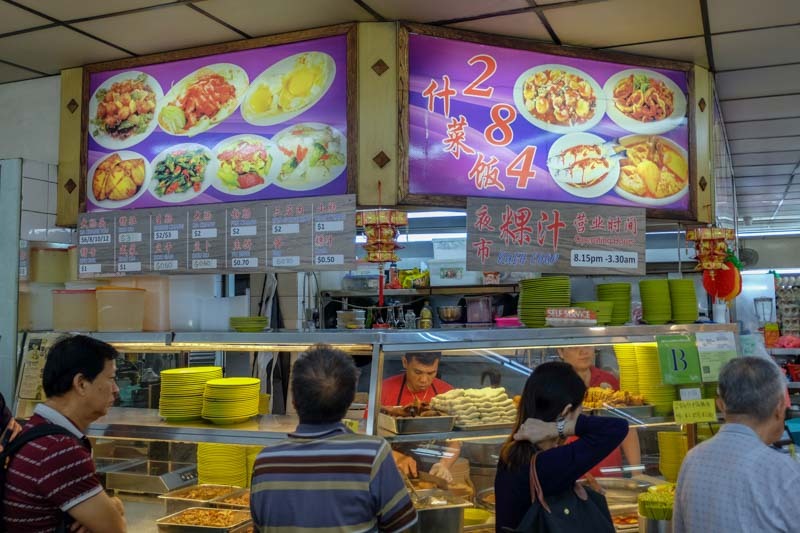 Run by the former la mian Director of Crystal Jade, the hawker stall serves up Chinese food from the Shanxi province. The noodles are all priced at S$5 and below per bowl, and my go-to has always been their Minced Meat La Mian (S$5 per portion). 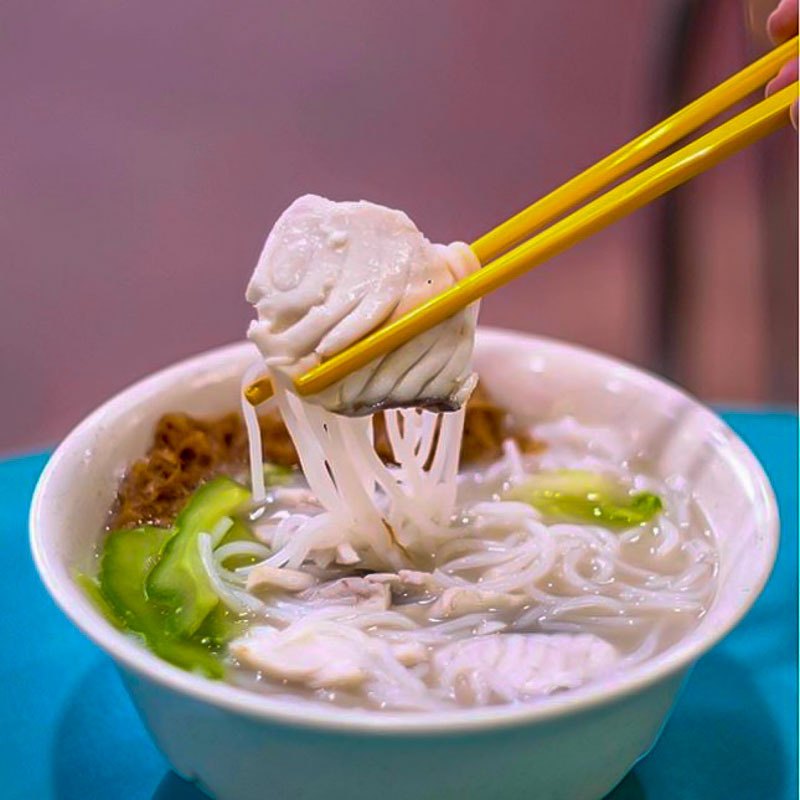 They cover the noodles with juicy minced pork, tofu and shredded cucumber before topping it with braised sauce. The noodles here are hand-pulled and the texture is absolutely divine and perfectly chewy. The portions are huge too, so come here with an empty stomach. Have a craving for some dim sum? Not to worry, Bishan’s got you covered as well. 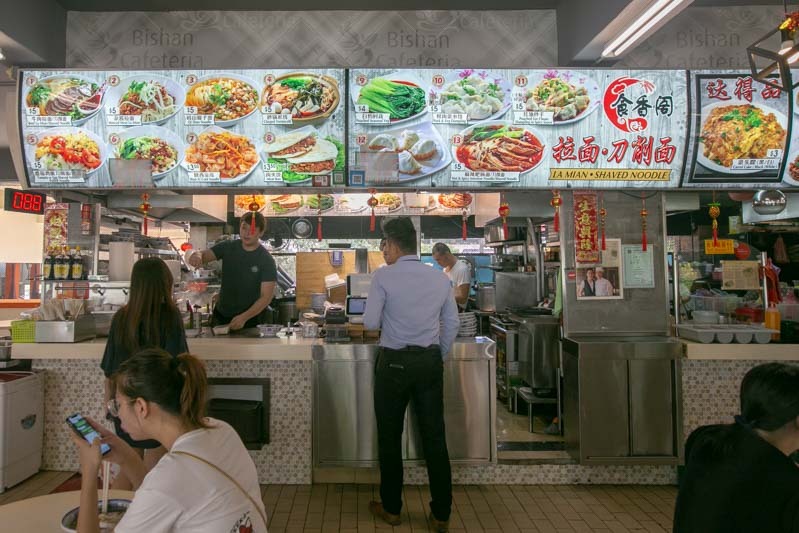 With an outlet in Bukit Batok, Lian Bang Fu Zhou (联邦福州手工包) has opened a branch in Kim San Leng Food Centre near Ming Kee Chicken Rice. Its signature Royal Chicken Bao (S$4) is what many people rave about. 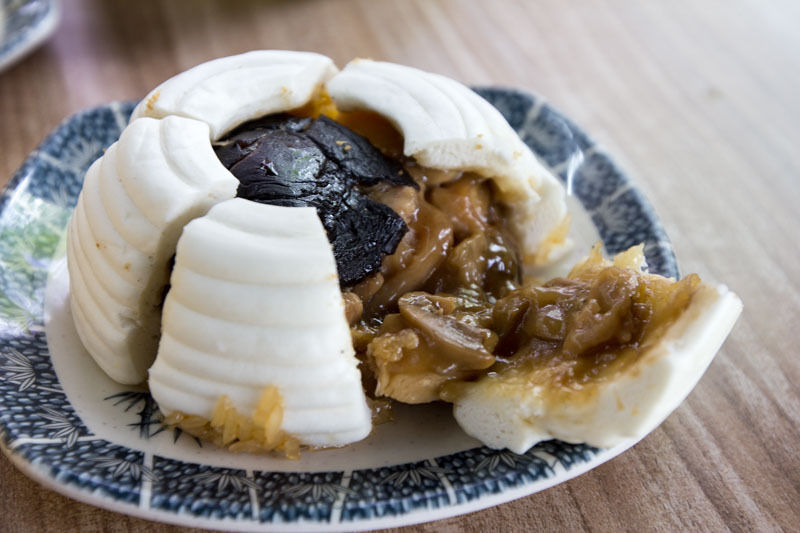 Essentially glutinous rice in a steamed bun, it also contained bits of juicy char siew, large chunks of flavorful chicken, mushrooms, and salted egg yolk. Other popular dim sum dishes also worth trying are their Liu Sha Bao (S$3.20 for three pieces), Har Gao (S$2.30 for three pieces), and Bacon Dim Sum (S$2.30 for two pieces). 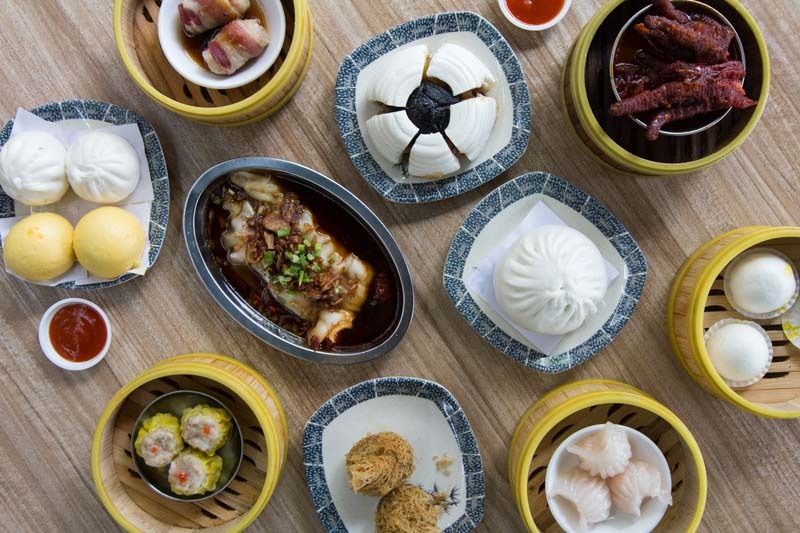 At a convenient location next to Bishan Bus Interchange, this is the perfect place to get your dim sum fix. It never goes unnoticed during my weekly runs past the store that there’s always a queue in front of Chindamani Indian Restaurant at KPT coffeeshop. 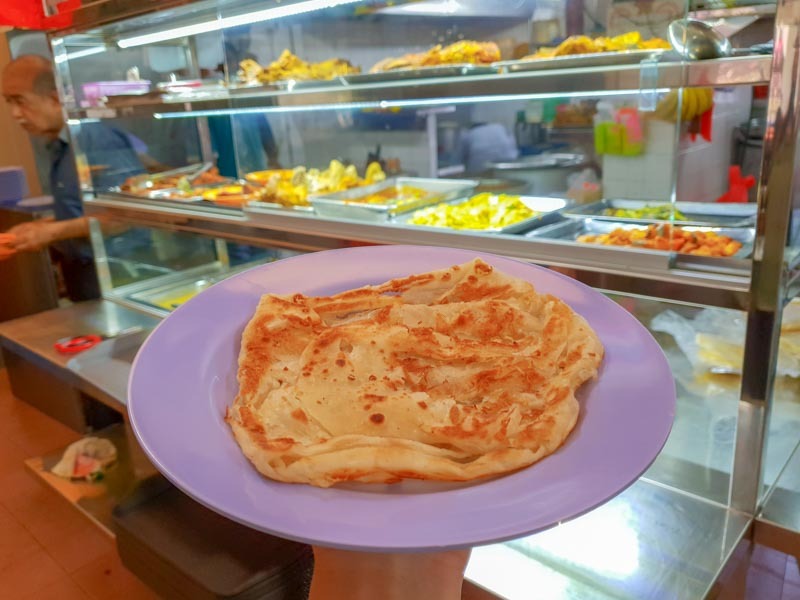 Customers are always waiting in line for their famous Crispy Roti Prata (S$1.20 for one, S$2 for two), which is said to be originally from 151A Serangoon North Avenue 2. Though I prefer my prata to be more doughy instead of crispy, I decided to give it a try and was pleasantly surprised. The prata had some crispy and flaky edges but was still stretchy in the middle. They have a couple of branches islandwide, with two of them in Bishan. 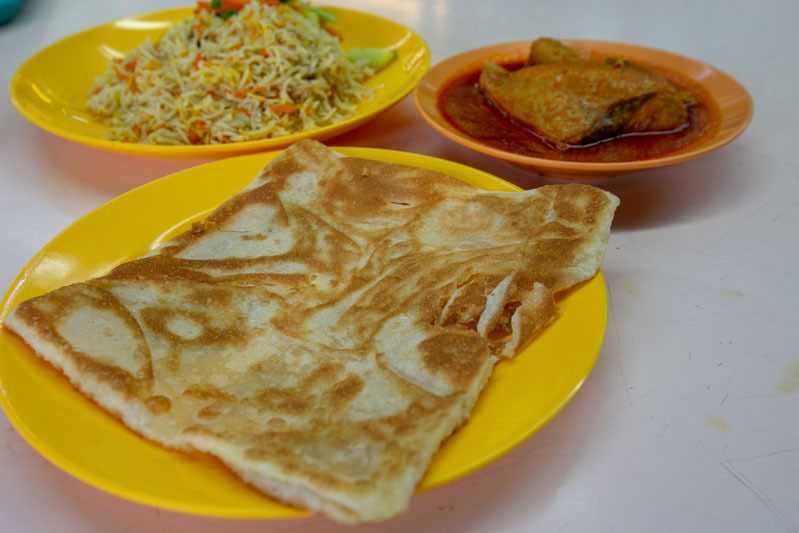 It’s perfect for a quick prata fix! 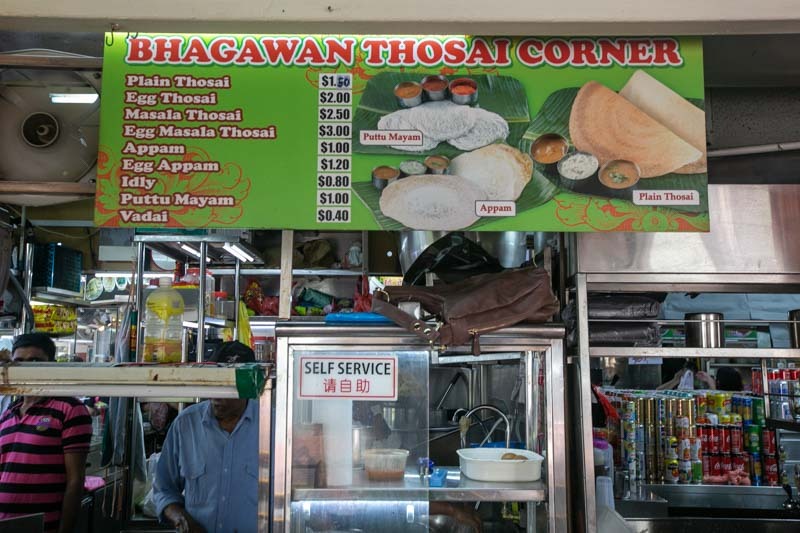 Bhagawan Thosai Corner is located in a corner of KPT coffeeshop that’s so secluded, you won’t actually know it’s there until you walk to the back. Despite their ulu location, the elderly Indian couple who runs the stall still has their own regular customers. My dad is one of them, and he’s been a staunch supporter of the small stall since it opened. 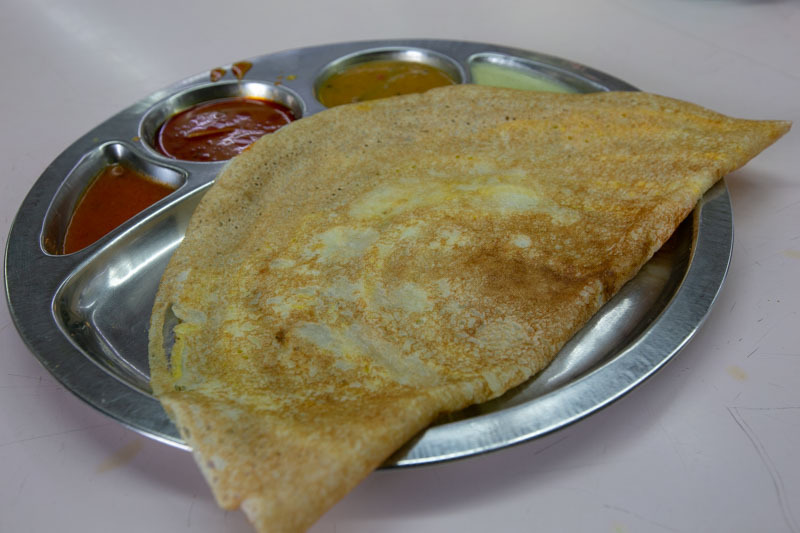 Their signature thosai is the Masala Thosai (S$2.50), with a generous amount of filling that makes it satisfying. If you’d like a more zhng-ed version, get the Egg Masala Thosai (S$3) which comes with an egg for more texture. They only make a fixed amount of masala filling a day, so the Masala Thosai is limited. Drop by for a hearty breakfast! Economic rice stall by day and kway chap stall by night, 284 Kway Chap (284 什菜饭/粿汁) in KPT coffeeshop is well-known in the Bishan food scene. Together with Ming Kee Chicken Rice, it’s probably one of the oldest Bishan food spots. A bowl of Kueh here costs only S$0.50, and it’s not uncommon to see hungry customers finishing a bowl or two in one sitting. They also have a selection of side dishes ranging from S$0.60 to S$12 per portion. Complete your kway chap experience with your favourite sides! Open all the way till 3.30am, you can definitely jio your friends for supper or satisfy those midnight cravings here. 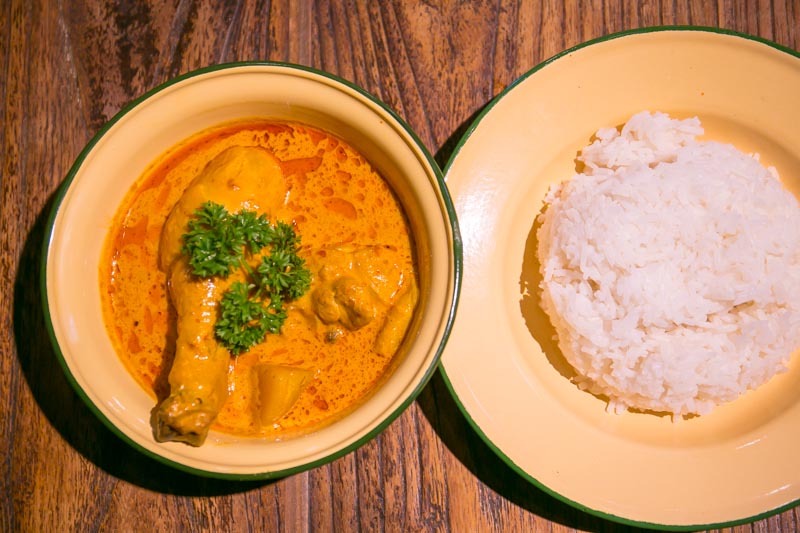 If you’re going for a low-cost meal, Chef Recipe at S11 coffeeshop will definitely fit comfortably within your budget. The Chef Recipe Salmon (S$10.50) was delicious, with full marks for presentation. Moist and thick cuts of salmon each sat on top of a hill of mashed potatoes. The unbelievably succulent Chef Recipe Kurobuta Pork (S$12.80) is one of their signature dishes. Even with three huge slabs of pork on the plate, its oozing juiciness had me craving for more. 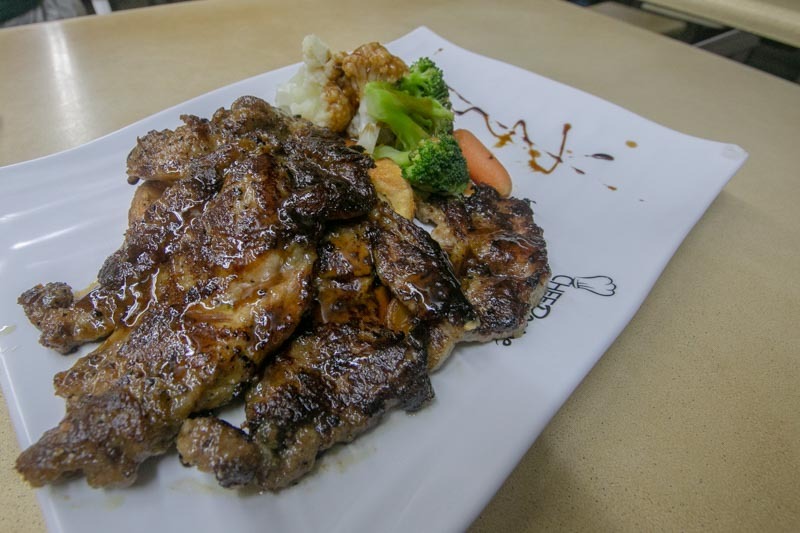 Every main dish also comes with two generous servings of side dishes, one that’s fixed and one of your choice. If you’re too lazy to walk beyond Bishan MRT Station, here are some good picks from Junction 8. Originally a kopitiam stall in Bishan Cafetaria above Bishan Bus Interchange, Fu Xiang Signatures 福翔 has expanded to become a chain. Hence, I felt it was totally fitting that they opened a branch at Food Junction in Junction 8 shopping centre too. We had to try their signature dish, Bishan’s Best Curry Chicken (S$6.50 per set, S$9 for 3 pieces ala carte, S$24 for 9 pieces ala carte). While the chicken meat was really tender, it was actually the curry sauce that was the highlight for me. With a velvety texture and a robust aroma of spices, it was to die for. If you tend to struggle with finishing what’s on your plate, consider sharing a plate of Japanese Chicken Katsu Omelet Original Curry Rice (S$8.10) from Washoku Goen at Food Junction in Junction 8. The portions are incredibly huge here, which makes them perfect for sharing. 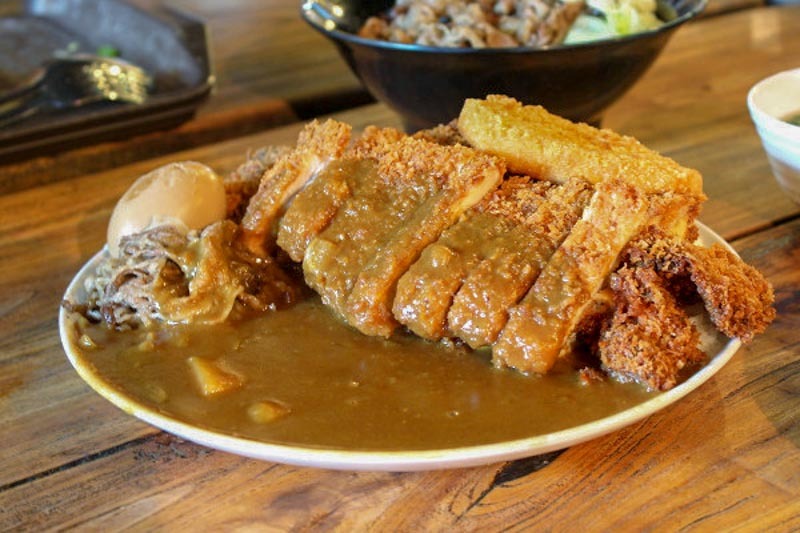 Or if you’re feeling particularly hungry, get the Japanese Double Katsu Original Curry Rice (S$10.90) instead for double the portion of meat. Other meat options such as tonkatsu (pork) and fish katsu are available too. Here’s one for those of you who are looking to splurge a little. Hailing from Tokyo, Japan, Kagurazaka Saryo 神楽坂茶寮 in Junction 8 offers Cha-nabe (one-pot) dishes and absolutely Insta-worthy desserts. Their Cha-nabe dishes start from S$11.90 a la carte and from S$14.90 per set. 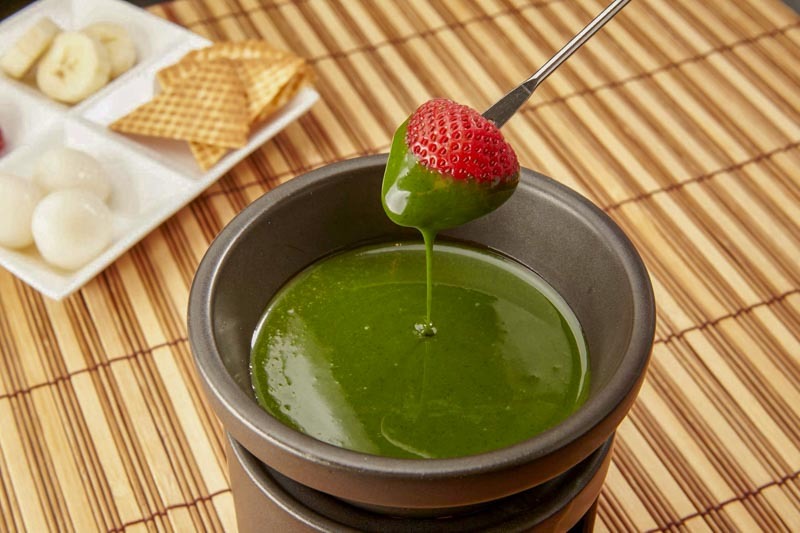 However, most people actually go there for their beautiful matcha desserts. 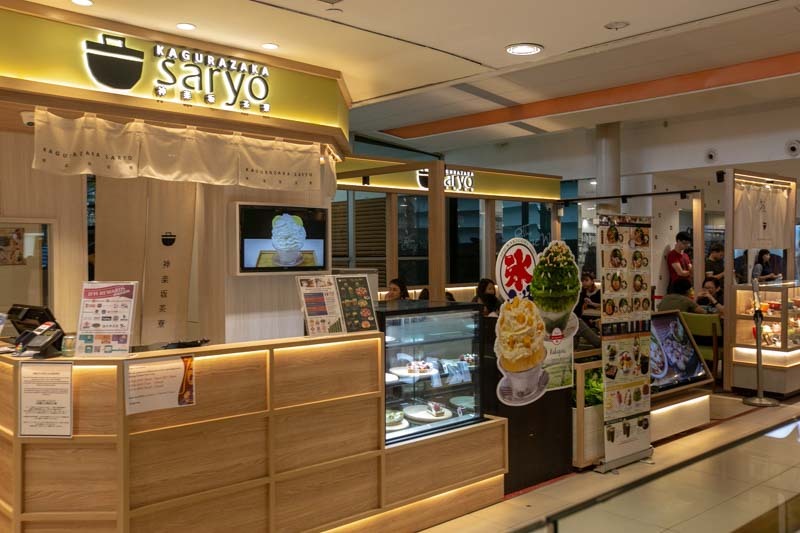 Their Matcha Fondue with Assorted Sides (S$14.90), Matcha Frozen Smore (S$9.90) and Matcha Kakigori (S$11.90) will surely earn you some extra ‘likes’ on your Instagram profile. 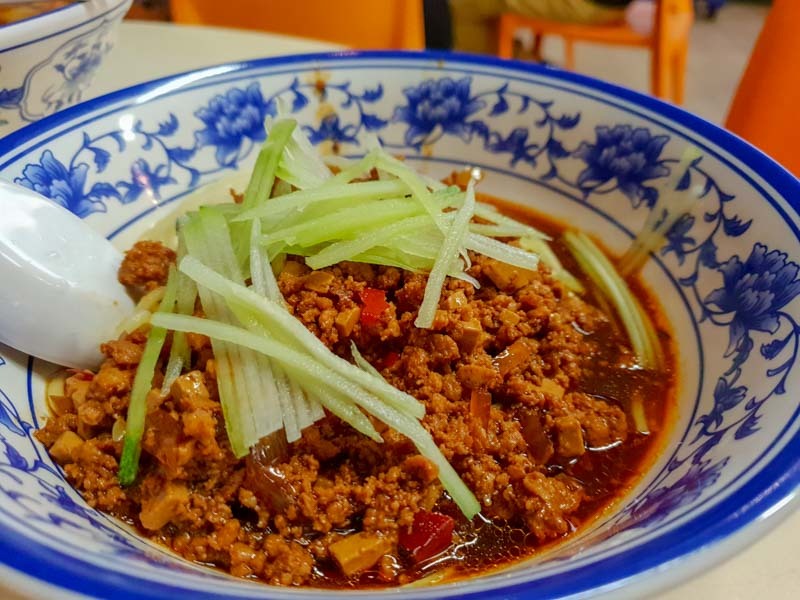 Sin Ming isn’t just where Kong Meng San (Bright Hill Temple) is, it’s also home to quite a number of underrated food places. After opening their first outlet in Commonwealth, Two Chefs Eating Place (双厨菜馆) now has a branch along Sin Ming Avenue too. 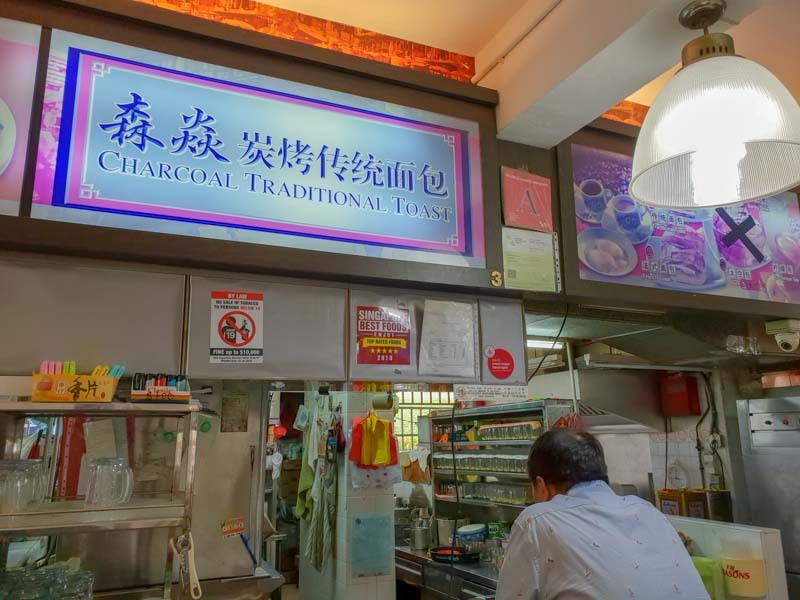 Frequented mostly by residents in the area, this zi char stall serves up dishes with a taste of home. 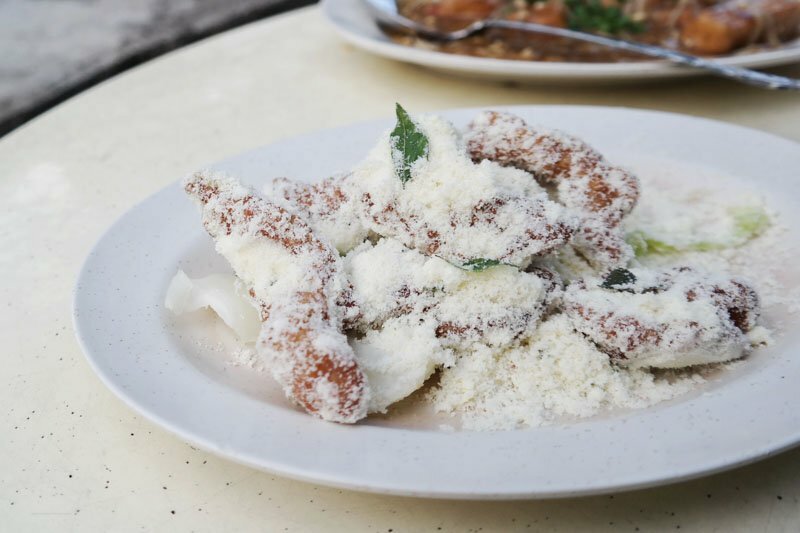 You won’t want to miss out on their Butter Pork Ribs (S$8) that are coated with milk powder. It’s a real crowd favourite! You’ll want a second helping of rice to go with the thick sauce from their Golden Mushroom Beancurd (S$8). This comforting dish will surely have you coming back for more. If you want to enjoy the food in the comfort of your own home, you can even call them to order and collect your food afterwards. 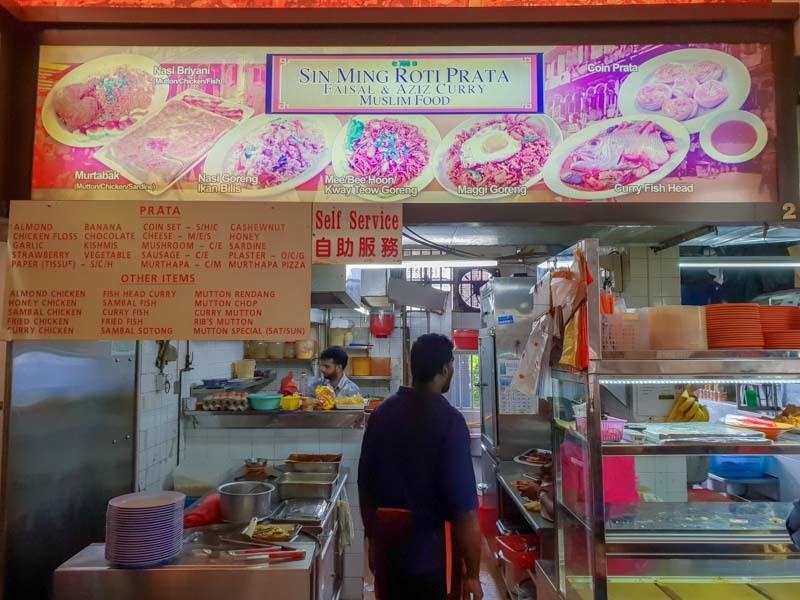 Located in Sin Ming, Sin Ming Roti Prata is the place to go for a prata fix if you’re in the area. A long queue for the stall is a common sight, especially on weekend mornings. A Plain Prata goes for S$1 while an Egg Prata costs only S$1.50, which is pretty affordable. Apart from their relatively low prices, what always draws me back is how sinfully oily their pratas are. 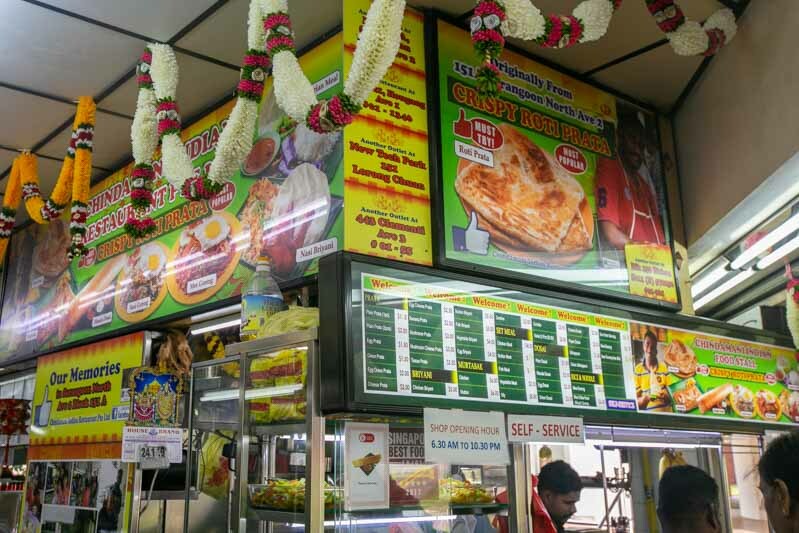 If you’re craving for something even more hearty, get their fully-loaded Murtabak (S$7). It’s bound to fill you up! 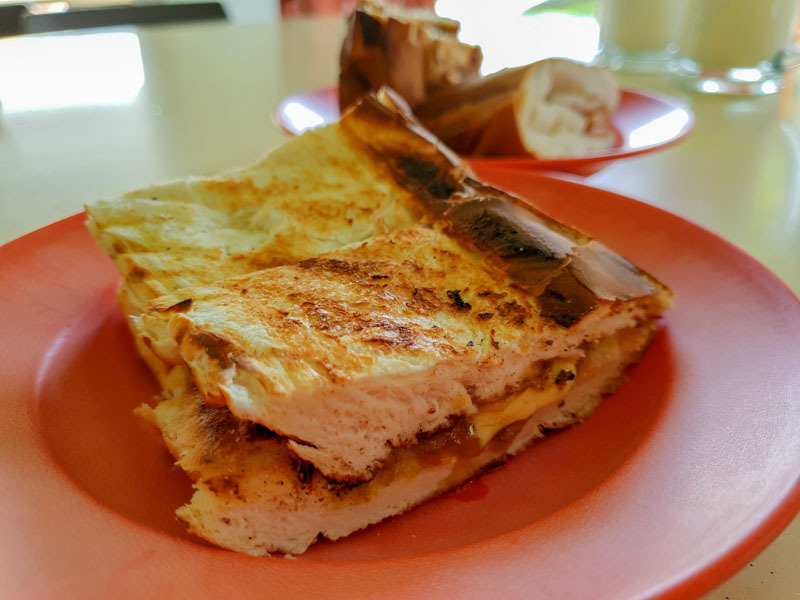 In the same coffeeshop as Sin Ming Roti Prata, you can hear loud and affectionate shouts from the uncles at Sen Yen Charcoal Traditional Toast (森焱炭烤传统面包). Their jiam tao loti (Charcoal Toasted Baguette, S$1.20 per portion) is a must-have whenever I’m there. Grilled over charcoal, the toasts always come with stripes of grill marks which make them extraordinarily crispy. Filled with kaya and a generous amount of butter, the toasts here sell out really fast, even early in the morning. 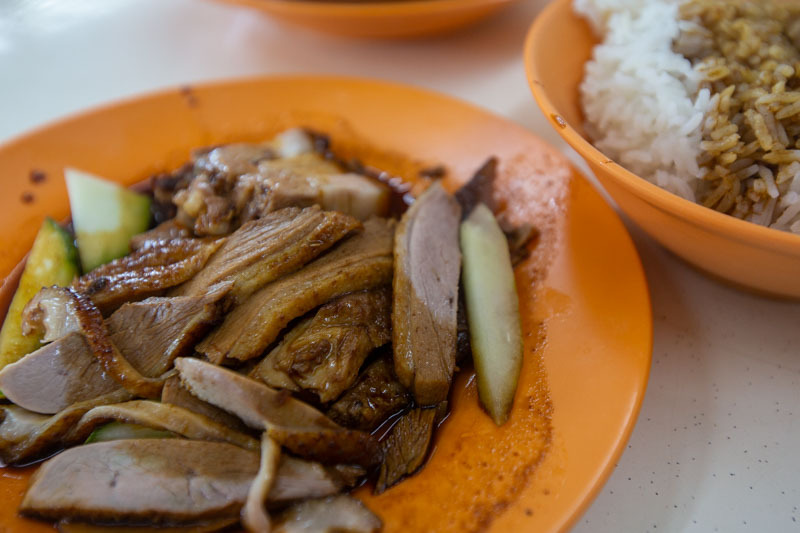 If you’re a fan of duck rice and you’re a morning person, this duck rice stall is perfect for you. 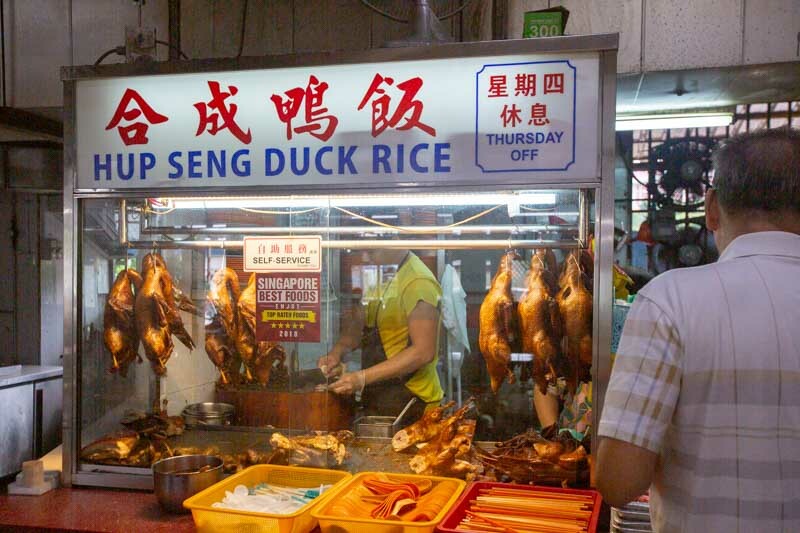 Hup Seng Duck Rice serves up one of the best duck rice in the area. Their ducks are braised Teochew-style and are served with a side of peppery, old-school kiam chye ark (salted vegetable duck soup). This bowl of soup also comes with duck meat that’s so tender it just falls off the bone, and a heap of salted mustard greens. They close for the day as soon as they’re sold out, so make sure to get up early if you want a bite! You’ll also want to check out the many hidden food gems in the lush greenery of Bishan-Ang Mo Kio Park. 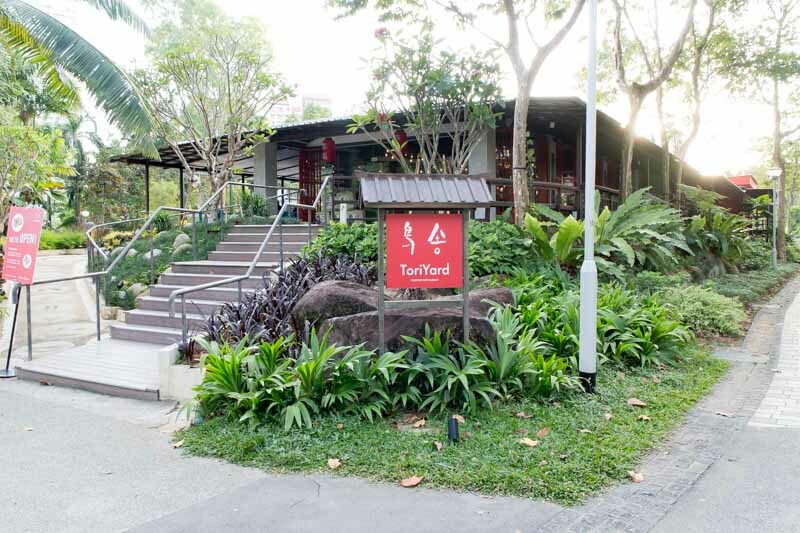 ToriYard is one of the fine dining options Bishan-Ang Mo Kio Park has to offer. Combining modern Japanese fare and Izakaya classics, the restaurant serves up unusual dishes that you probably won’t see anywhere else. 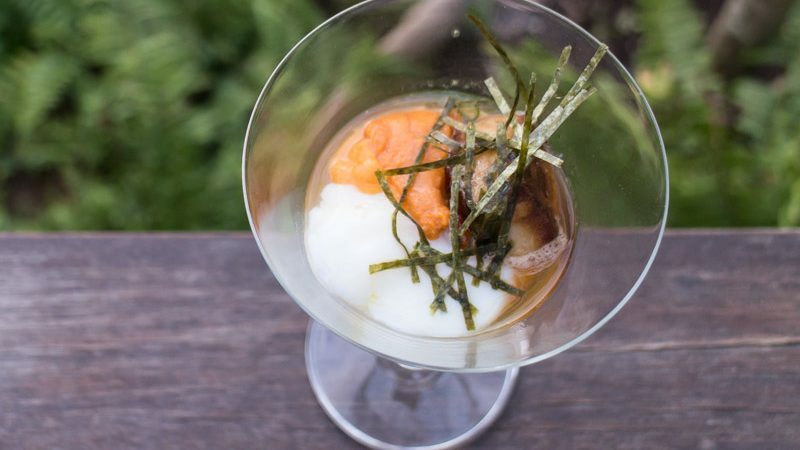 With foie gras, uni, and an onsen egg, the decadent Onsen Tamago Cocktail (S$17) is sure to pique your curiosity. 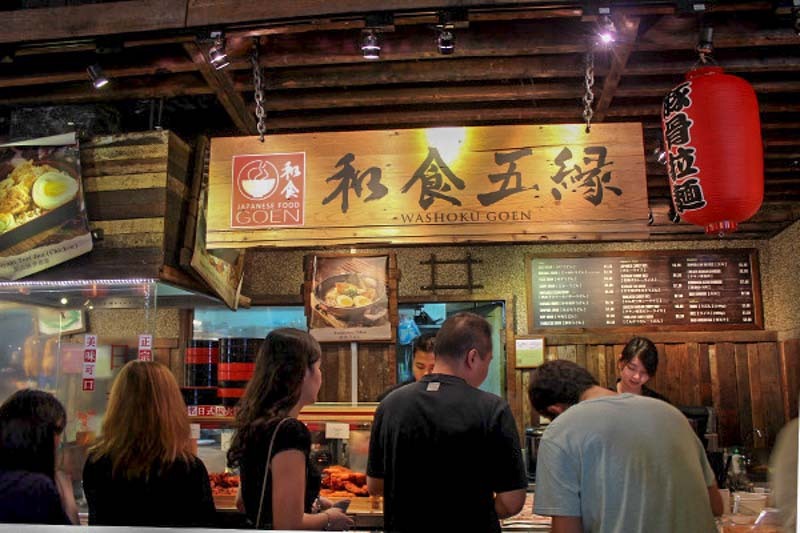 You can also get their Tebasaki Gyoza (S$15) and Tsukune (S$8) too if you want to sink your teeth into some savoury meat dishes. 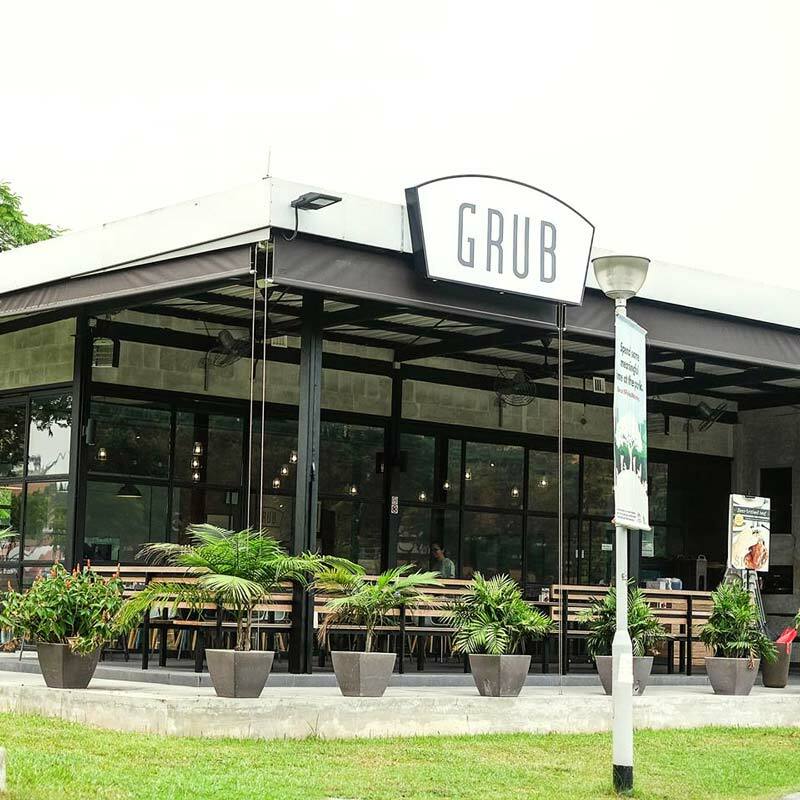 Bishan-Ang Mo Kio Park is also home to the family-friendly bistro, GRUB. In addition to their huge Singapore-inspired Western menu, they come up with monthly specials. The Mentaiko Fries (S$9.50) here will definitely put a smile on your face. 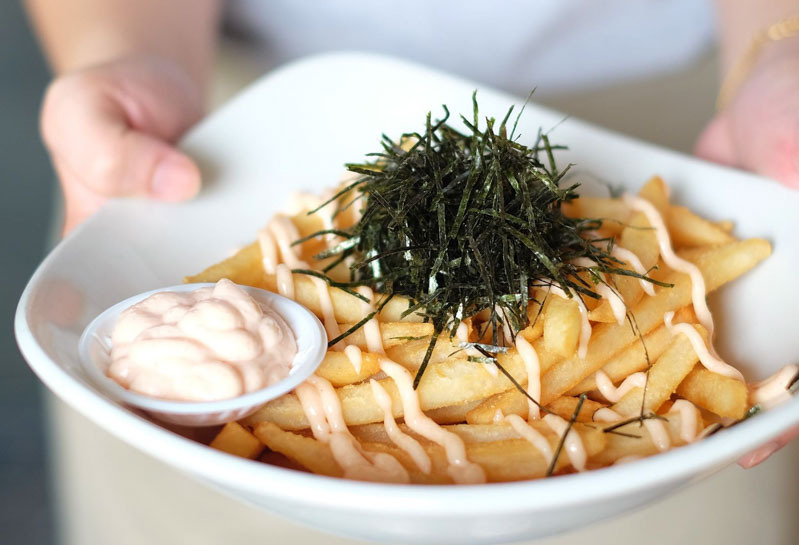 Surely no one can resist a pile of crispy fries drizzled with creamy, tangy mentaiko sauce? With different kinds of pasta, burgers, salads and pizzas available as well, there’s certainly something for everyone in the family, after a day relaxing in the park. While Upper Thomson may be nearer to Marymount MRT Station, it’s still a part of Bishan. 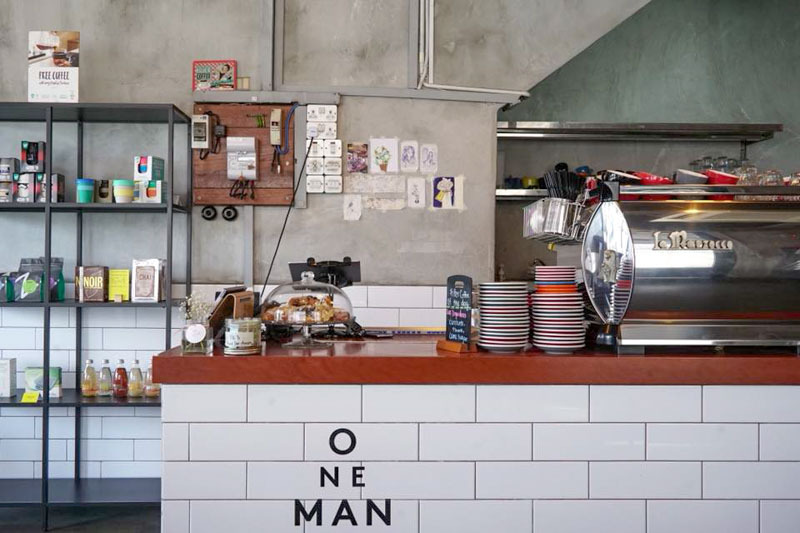 Upper Thomson is popular for its many cafes, and One Man Coffee is undeniably one of the most well-known of them all. Despite its relatively ulu location, this shophouse cafe is perpetually crowded, especially during the weekends. While they’re known to have some of the best coffees countrywide, their food is equally outstanding. 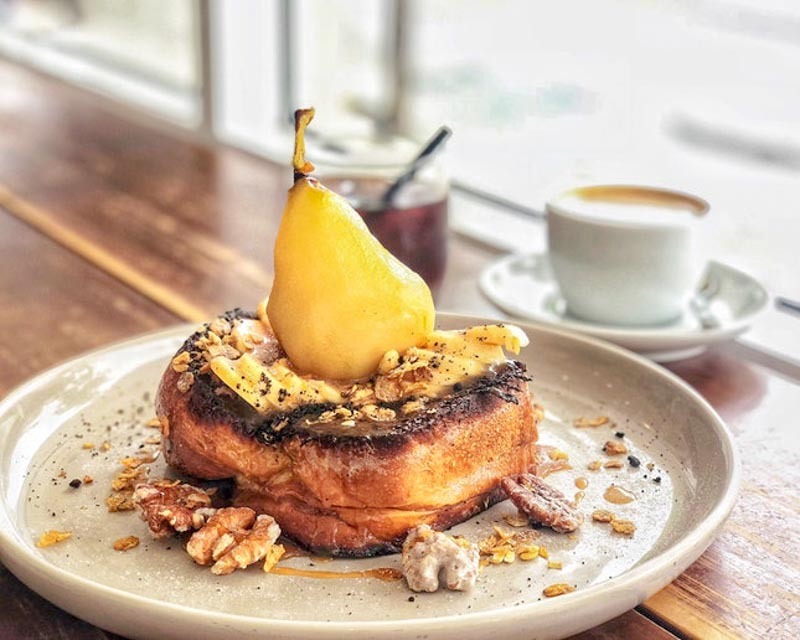 The Brioche French Toast (S$12) is said to be to die for. However, I’m actually more intrigued by their famous Gashouse Eggs (S$12). The sight of runny eggs oozing out of soft brioche bread is sure to whet your appetite. 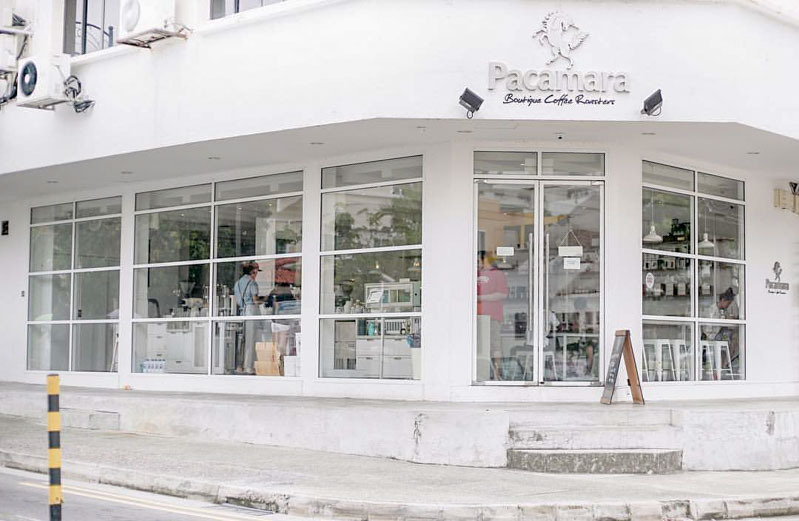 If you’re looking for a bright and spacious space to just chill and have a cuppa, Pacamara Boutique Coffee Roasters is the place to go. 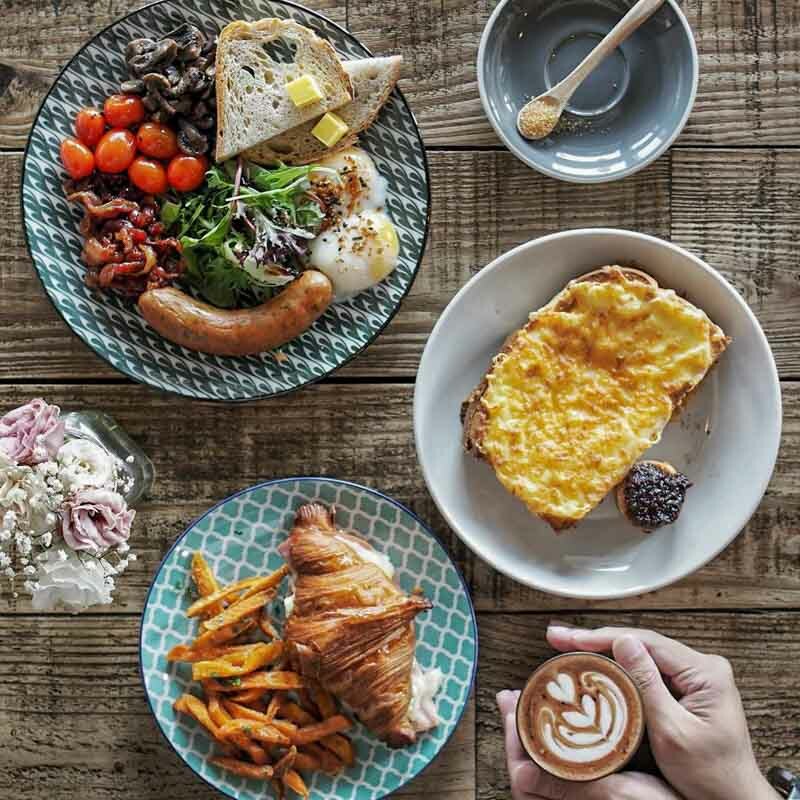 Some of their most popular dishes include the Salted Pear French Toast (S$18), Duck Confit Hash (S$19.50) and Chicken Mushroom Mac & Cheese (S$17.50). They all look gorgeous, and I’d give a 10 out of 10 for aesthetics. The prices here are on the higher end, compared to its surrounding competitors. That said, I find the ambience at Pacamara Boutique Coffee Roasters perfect for a chill day out. 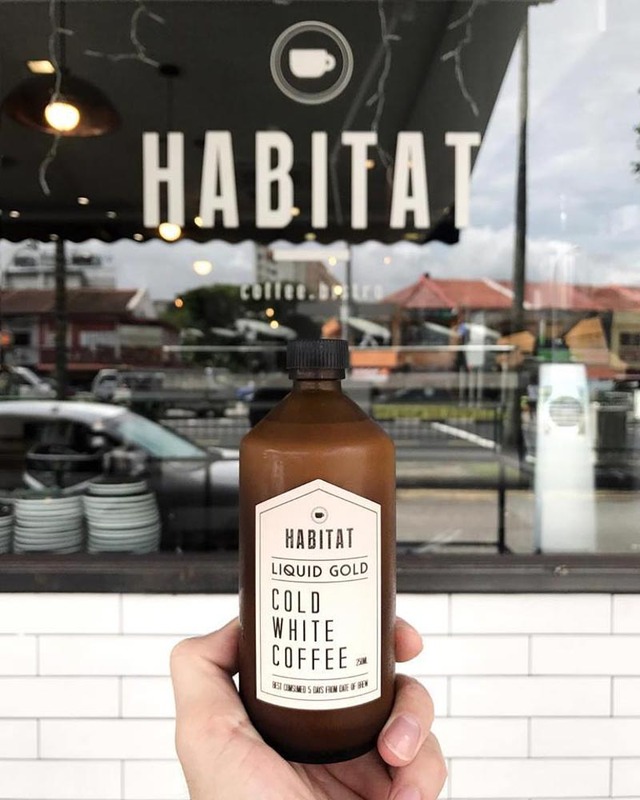 Habitat Coffee is another contender in the coffee scene around the area of Upper Thomson. Starting out with just coffee, they have since expanded their menu to include a satisfying variety of food items. I almost wanted to get one of everything because they all sounded so good on the menu. The Tomato Egg Relish (S$15) seemed to be a popular item, though you’ll have to decide how you want your eggs to be done. 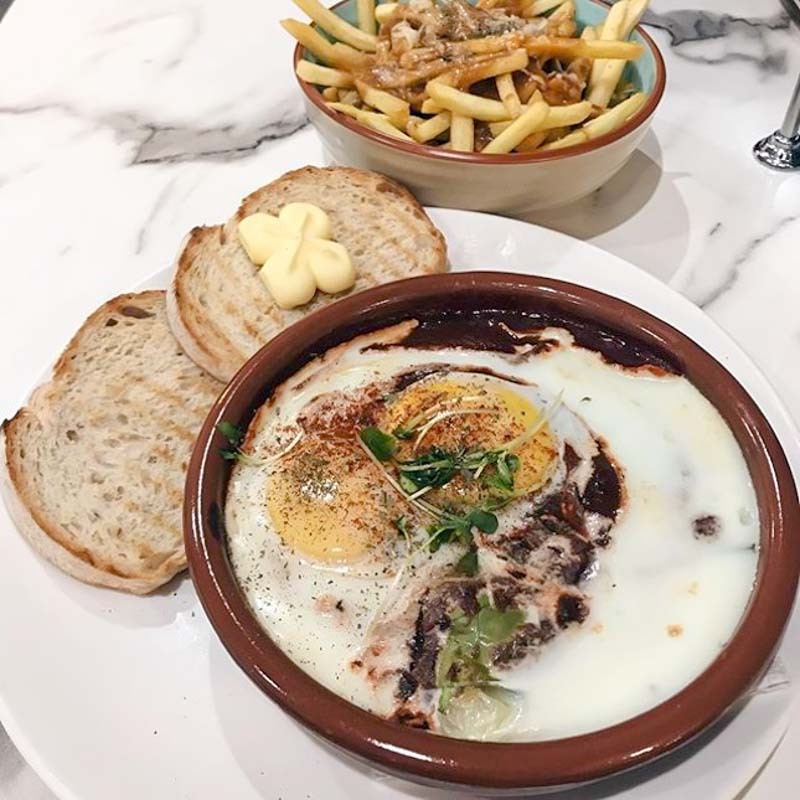 They also have Poutine (S$3.50 per portion) on their menu, so you can enjoy this messy Canadian street food right here in Singapore. 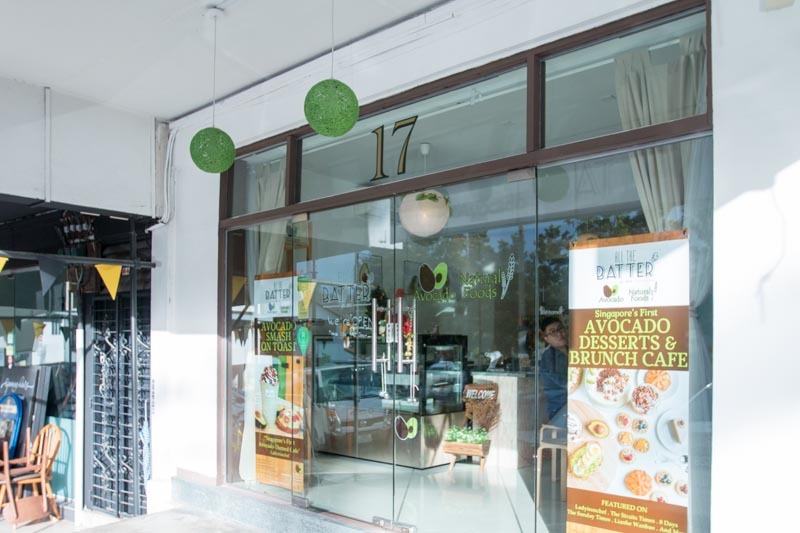 I’ve gotten addicted to avocados, so I’d love a trip to All The Batter, Singapore’s first avocado-themed cafe. From sweet to savoury, you’ll be amazed by how many dishes avocado can be used in and be paired with. 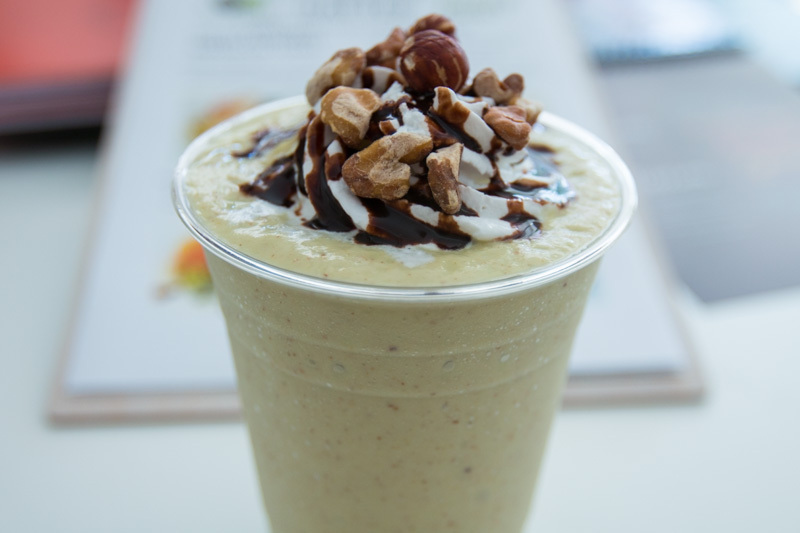 To me, the best way to do an avocado justice is to turn it into a milkshake, like the Avocado Nutty Galore (S$8.90) from All The Batter. They also do a decadent Avocado Gula Melaka Slice (S$6.50) cake. If you know anybody who’s as passionate about avocados as I am, you know where to bring them. 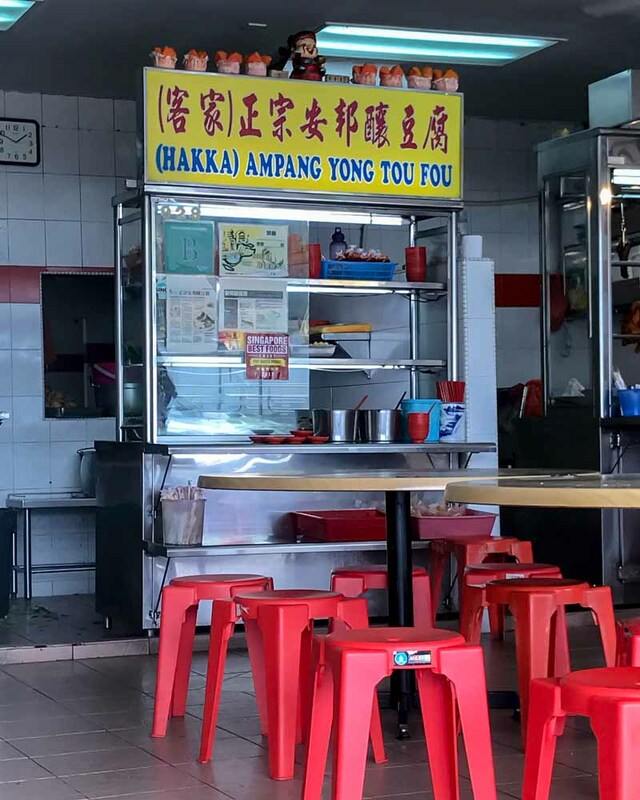 928 Ngee Fou Restaurant (Hakka) Ampang Yong Tou Fou (928義和餐室(客家)正宗安邦酿豆腐) is located along the far end of Upper Thomson Road. A standard plate of their yong tau foo includes bitter gourd, eggplant, fried quail eggs, fried wontons, okra and plenty of kangkong soaked in their insanely delicious sauce. Some people may find the sauce a little too salty. But I actually find that it adds flavour to my bowl of rice. There’s never a single grain of rice left in my bowl whenever I dine here. Shunfu is a small estate that may be relatively unheard of. However, it’s home to a quite a number of good foodie gems. 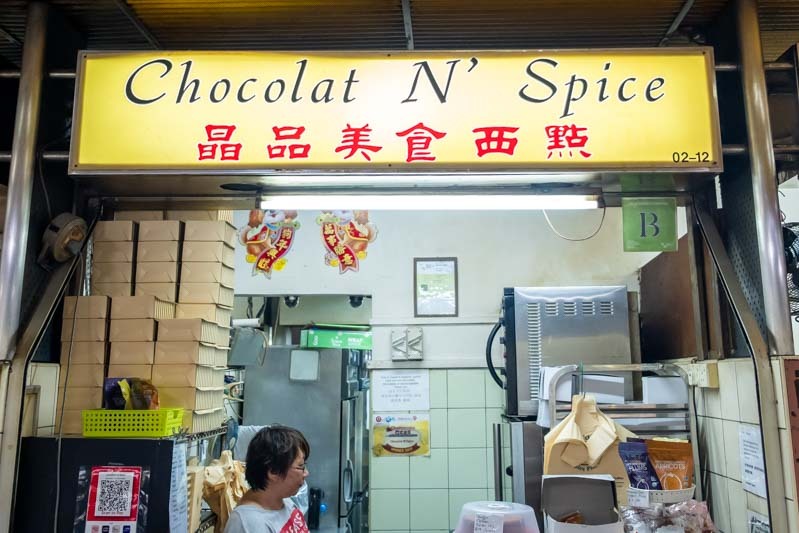 Chocolat N’ Spice (晶品美食西点) in Shunfu Mart Food Centre typically has extraordinarily long queues. 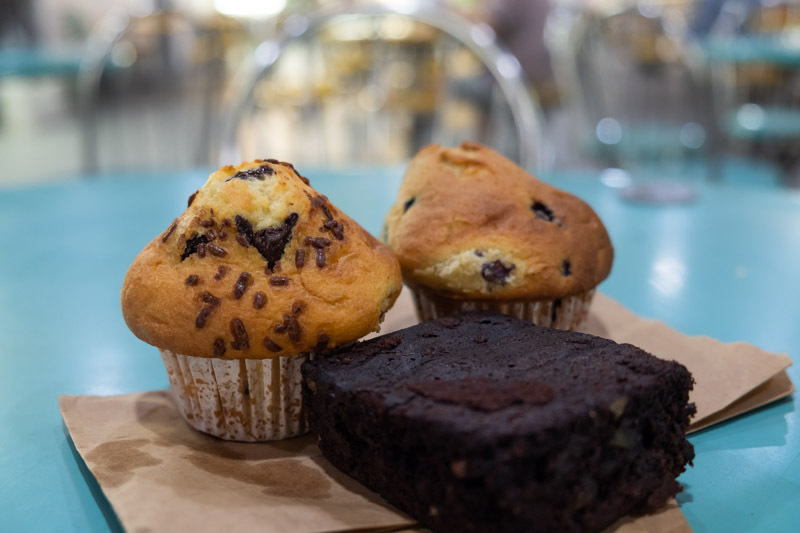 From their signature muffins to cakes and pastries, they have just about everything for breakfast, tea break and desserts. I never fail to leave with at least one box of muffins every time I’m here, since their prices are so affordable. Slightly crispy on the outside, their muffins are fluffy at the core. My all-time favourite is the Chocolate Chip (S$1.30 per piece). They even mix chocolate chips into the batter before baking so each mouthful of contains gooey bits of melted chocolate. For these old-school muffins, the fanciest flavour is probably their Coffee Walnut (S$1.50 per piece), which I’d recommend. Otherwise, they also have a wide selection of cakes for your special occasions. 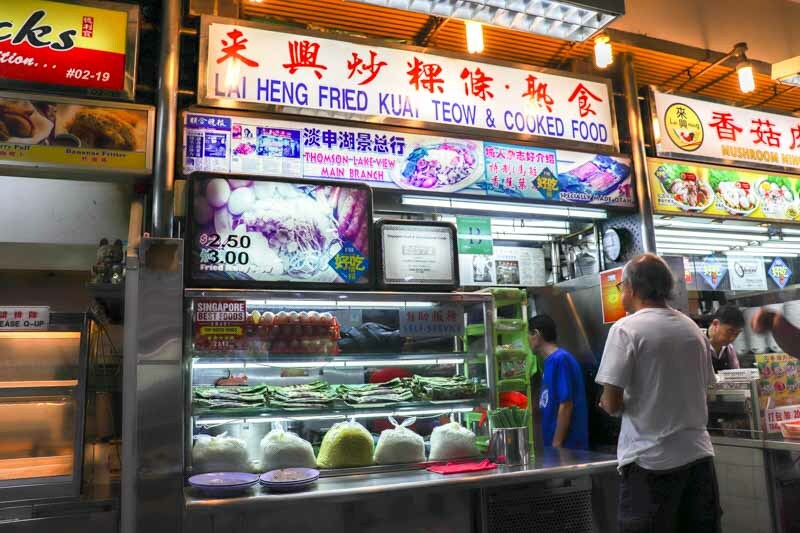 Apart from Chocolat N’ Spice, Lai Heng Fried Kuay Teow & Cooked Food is one of the other few stalls in Shunfu Mart Food Centre that has long queues. 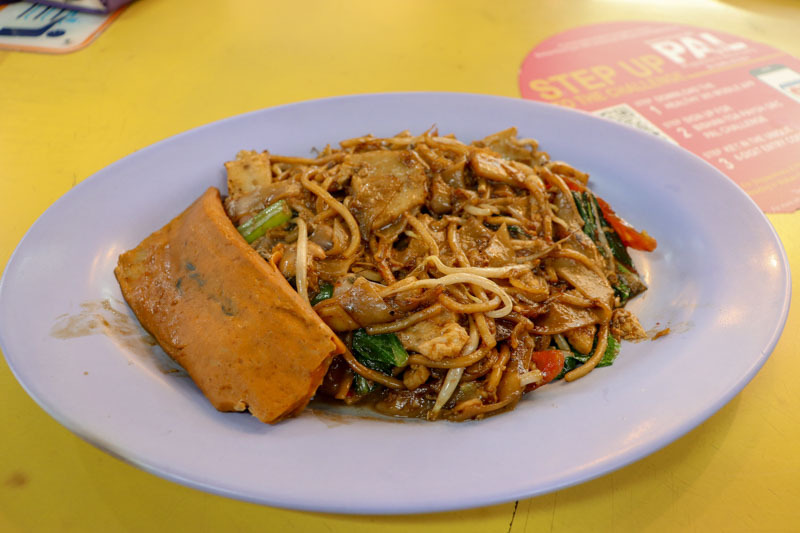 The combination of their incredibly moist Char Kway Teow (S$2.50 for small, S$3 for large) and their Specially Made Otah (S$1 per piece) will definitely wow you. You have to try it to believe it! 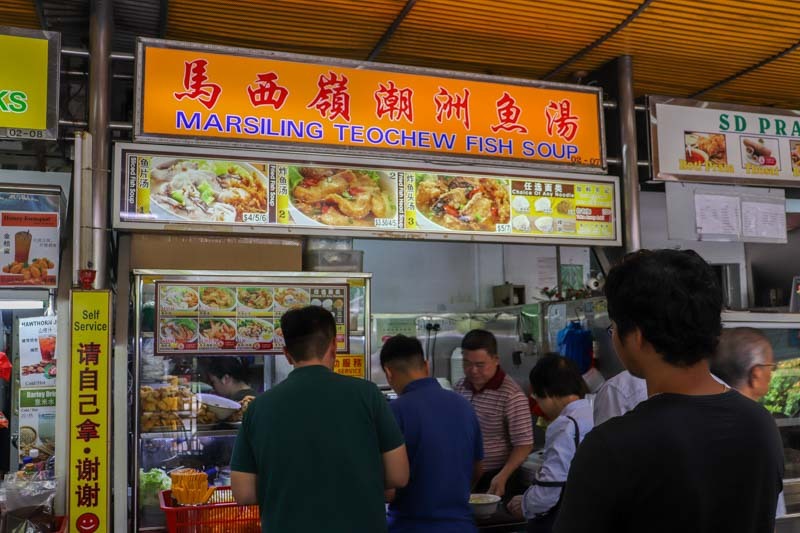 Marsiling Teochew Fish Soup is another stall in Shunfu Mart Food Centre with long queues, especially during lunchtime. For every standard bowl of Sliced Fish Soup (S$4 for small, S$5 for medium, S$6 for large), you get to choose the type of noodles you want. You also get about four to five thick and silky smooth slices of fresh Batang fish. Each bowl came with loads and loads of lettuce, which I appreciate very much as a veggie lover. There’s even fried egg floss atop every bowl, which soaks up all the flavours of the fish and soup. 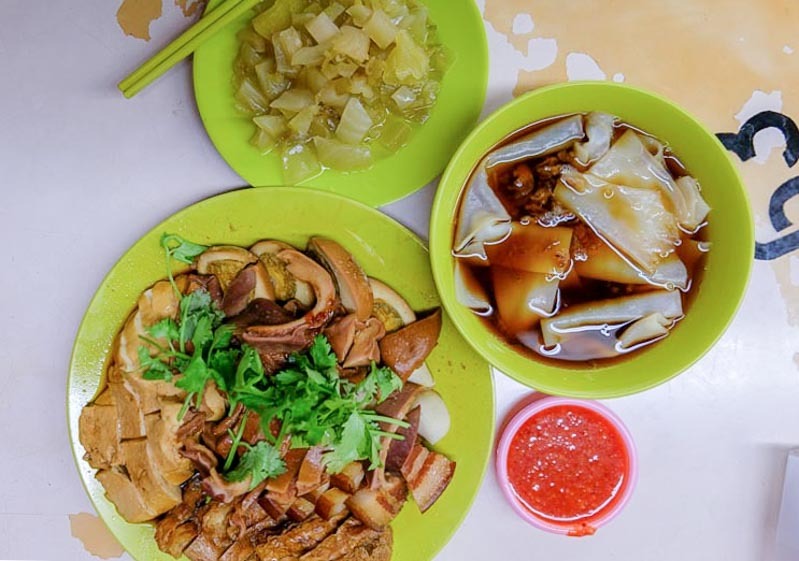 This Bishan food guide is by no means exhaustible, so there may be more food spots out there that are just as good. If you know of any other places which I haven’t mentioned, please let me know and it can be our little secret. Good things should be shared, right?